Saturday 19th January, Hundred Acre Farm, Sopworth. 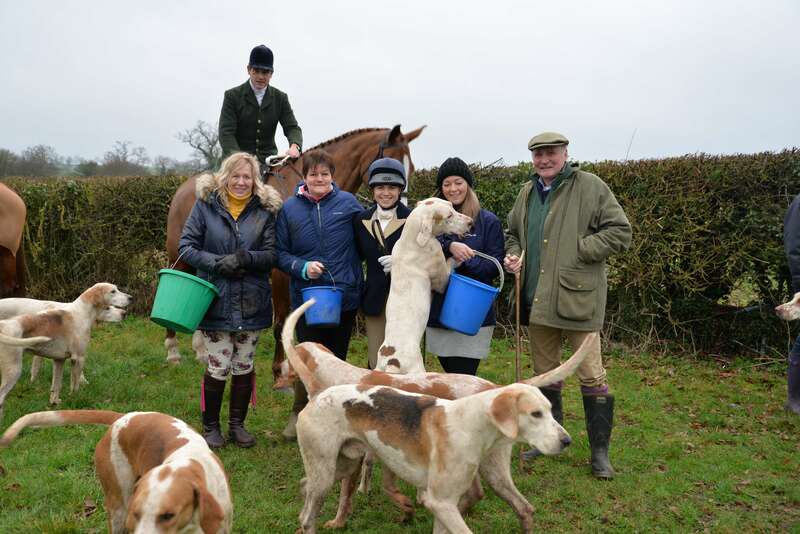 Captain Ian Farquhar joint master of the Beaufort Hunt, nearly 25 years ago came up with the idea of a special annual meet to raise funds for charities both local and national. Thanks to the amazing and generous hospitality of hosts, local farmers the Milsom family, over the years it is estimated a total of nearly £60,000 has been raised. This year was no exception and in 30 minutes with buckets rattling an amazing total of £2026 was raised to help support Richard Preest, head gardener on the Badminton Estate for almost 30 years. Richard was taken ill mid July 2018 having suffered a rare and life changing spinal stroke, leaving him paralysed from the neck down, unable to speak and on a ventilator for weeks in Bath RUH. He is currently at Salisbury's Odstock Spinal Unit and preparing to return home soon. Richard is also a nationally recognised breeder, trainer and handler of working cocker spaniels, with impressive and successful lines (winner of 2016 Cocker Spaniel Championships' ) and his Kennel Club prefix is named after his local covert, 'Centrewalk'. The money raised will be used to purchase any specialist equipment he may need, and also to help fund any physiotherapy when he is home.